John DarConte sent me a few pics from their day at the PBA tournament this past Saturday. 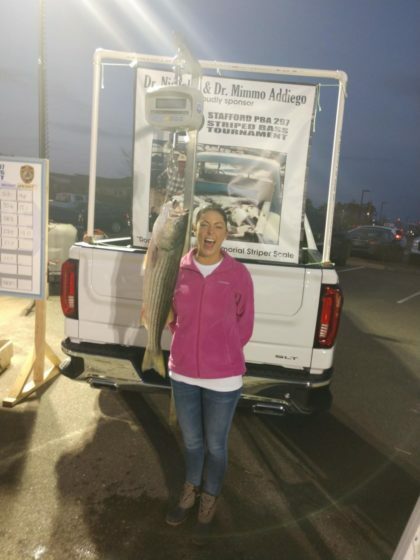 Melanie hooked a 13.8lb striper on a lure. 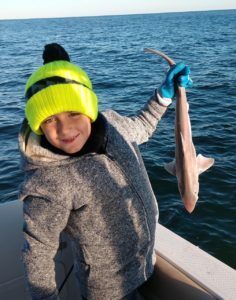 Sal hooked up this throwback (but great photo) and Melanie with a sea bass too. Great jobs guys! 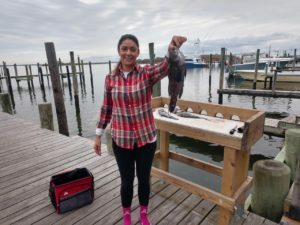 There were two more weigh in for the LBI Classic yesterday too. 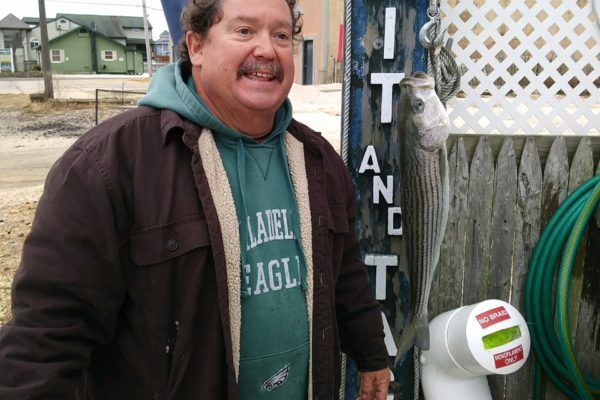 Rich Astor with a 12.38 lb bass in Barnaget Light on Bunker and Francis Hettler weighed in a 9.52lb striper in Surf City on bunker. So they are out there… haven’t seen any more big ones like Chris, but you never know! Its a beautiful, brisk morning, slight west wind. The water is flat and in the mid 50’s. Good Luck!